After a few weeks of buildup in the Ant-Man viral campaign, the big conclusion is finally here. 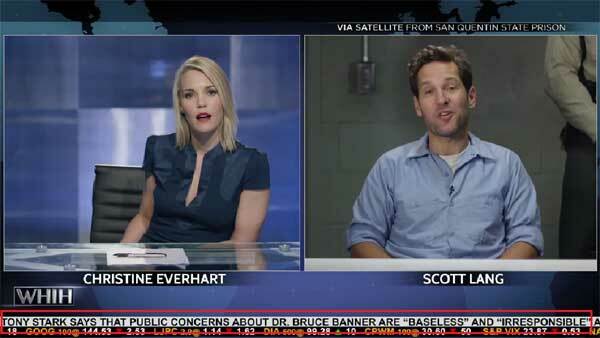 The fictional news station WHIH has launched their exclusive interview with soon-to-be-released inmate Scott Lang (Paul Rudd)... but unfortunately the chat didn't go over so well. Watch the video below to see what I mean! 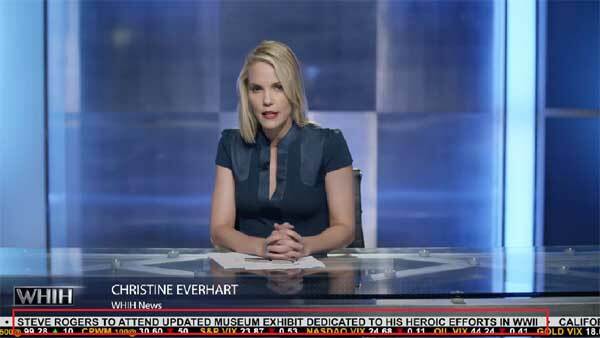 Concluding a three-part viral that first launched two weeks ago, we now finally have the Newsfront exclusive interview between Leslie Bibb's Christine Everhart and future Ant-Man Scott Lang, but the conversation is brief and filled with quite a bit of conflict. As it turns out, Lang is in prison because he ripped off his former employers at a company called Vista Corp - which also happens to be the company that owns the WHIH news station. This is a fact that Lang is very much aware of, and as a result he gets so pissed off that he needs to be tased before the satellite chat is shut down. It's a pretty funny ending to the bit, and hopefully we'll get to see even more viral campaigns as Marvel Studios continues to put out big blockbusters in the comics years. Ant-Man is arriving in theaters this Friday, so get excited for Scott Lang's post-jail adventures.